After making her mark in the indie duo The Fiery Furnaces, singer-songwriter Eleanor Friedberger launched a solo career blending her former band's experimentalism with classic '70s sounds. She joins Jim and Greg for a conversation and live performance. 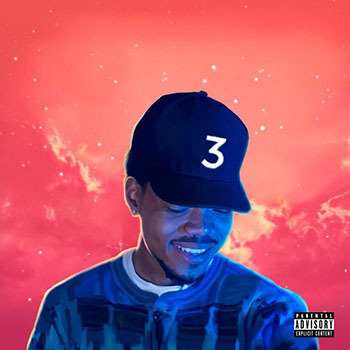 Plus, a review of the new mixtape from Chicago hip-hop artist Chance the Rapper. Rumors are swirling that Swedish pop powerhouse ABBA is in talks to reunite after all four members were seen together last weekend. 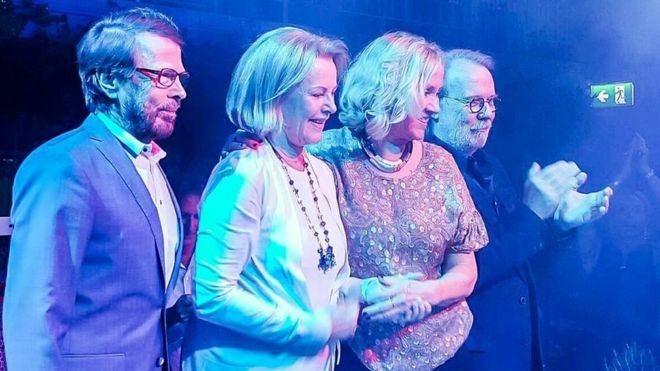 During a gala to celebrate the 50th anniversary of Björn Ulvaeus and Benny Andersson's music partnership, Agnetha Fältskog and Anni-Frid Lyngstad made an appearance singing their song "The Way Old Friends Do." The band broke up seemingly for good in 1982 and despite millions of dollars in offers; ABBA has rejected the idea of a possible reunion tour. Not to quash fans' hopes, but Swedish music historian Carl Magnus Palm believes there is a 99.9% chance ABBA will not reunite, noting that the foursome didn't actually all sing together the other night. Singer-songwriter Eleanor Friedberger last joined us in 2008 as one half of the duo The Fiery Furnaces, along with her older brother Matthew. Famous for their fragmented and experimental sound, they made an impressive nine albums in six years together. However since 2011, Eleanor has been pursuing a solo career that is sonically quite different from the work she was doing in The Fiery Furnaces. She's put out three albums, Last Summer (2011), Personal Record (2013) and most recently, New View. While Eleanor Friedberger is an Oak Park, Illinois native currently living in New York state, she recently joined Jim and Greg during the SXSW Music Conference in Austin, Texas for a conversation and live performance in front of an audience at the Gibson Showroom. She speaks about growing up, going solo, Seth Meyers, and Andy Warhol.